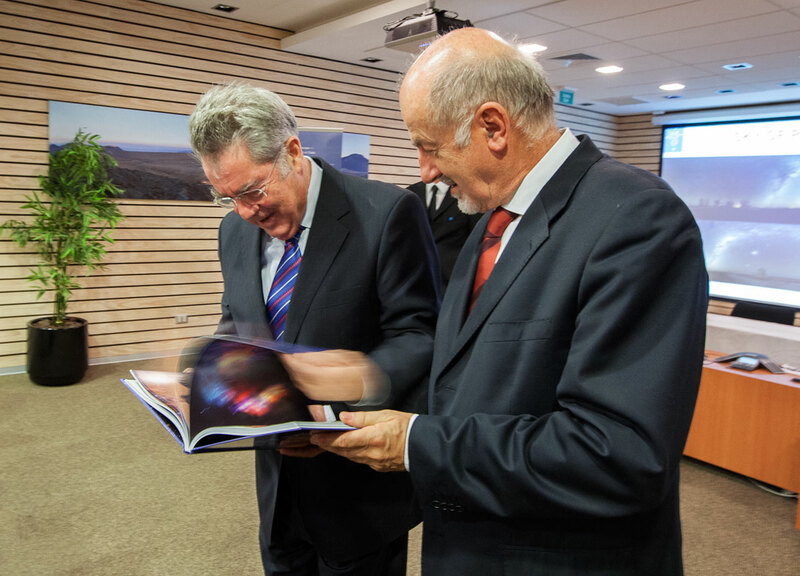 The President and his entourage were met by ESO’s Representative in Chile, Massimo Tarenghi, and ESO staff including an Austrian astronomer at ESO, Christoph Saulder, who introduced them to the organisation and its activities. 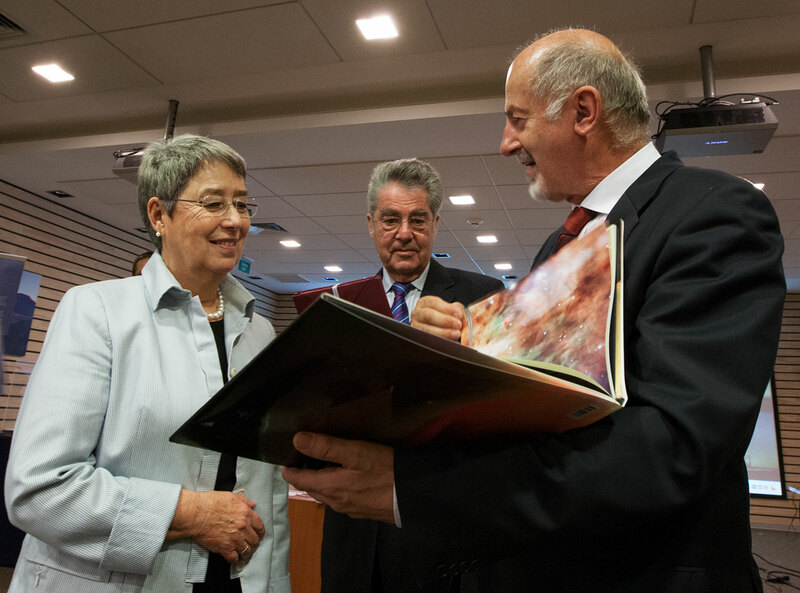 During his visit the President was given a short presentation about the 50-year history of ESO as well as the plans for the European Extremely Large Telescope (E-ELT). 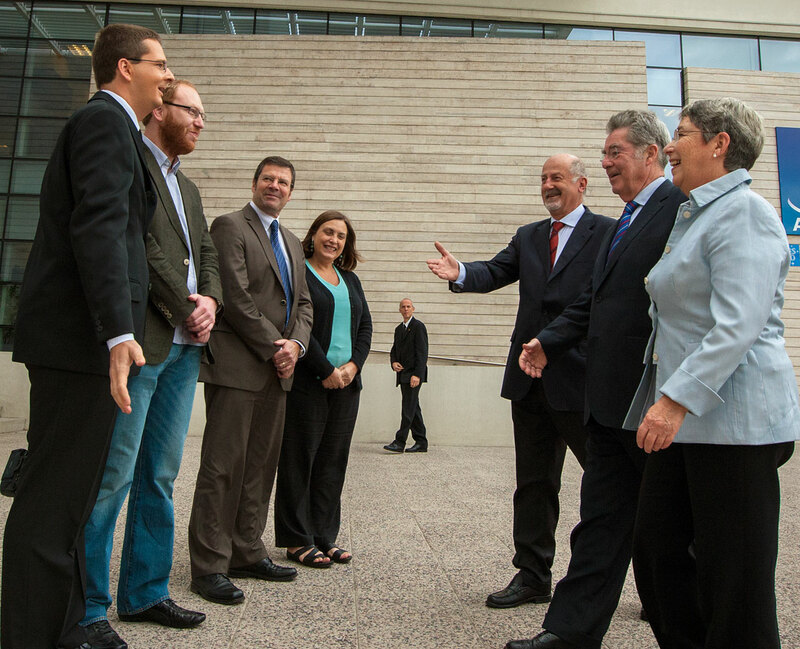 Austria joined ESO in June 2008 (eso0820) and since then Austrian astronomers have made extensive use of ESO facilities, including ALMA. In addition many ESO industrial contracts and subcontracts have been awarded to Austrian companies, including major involvement with the construction of the new ESO Headquarters Extension (eso1215, ann12044, ann12090). 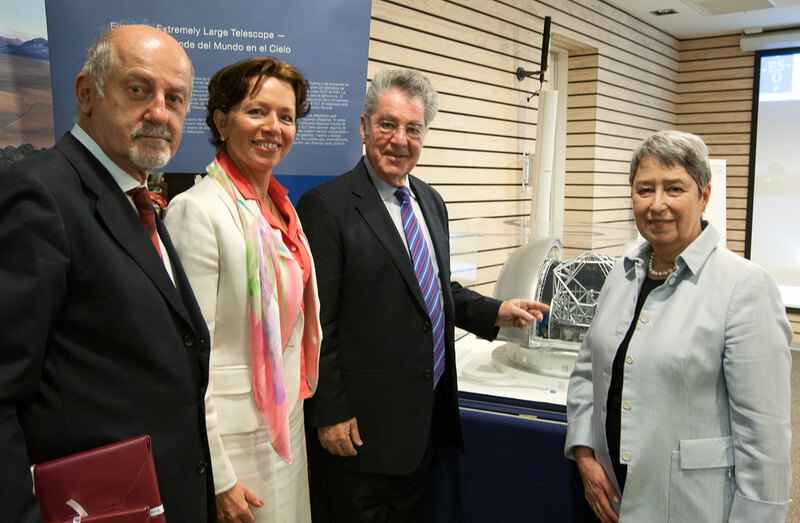 The President of Austria, Heinz Fischer and his wife Margit Fischer are shown the book "Voices from the Universe"